Whether you're a novice cook or an old pro, every homeowner has a love affair with the kitchen. It is in the kitchen that we make both modest meals and grand feasts for those that we love, or where we sit with a cup of hot cocoa after building the family snowman. No matter what your kitchen means to you, you no doubt want it to look it's most fabulous - whether that be country rustic or high tech modern. Oftentimes homeowners will remodel the kitchen by adding some tile or a new color of paint, only to realize there's something still lacking in the kitchen's overall feel. That's where accessorizing your kitchen comes into play. A well-accessorized kitchen is one that is not only attractive and visually appealing, but also one that is optimally functional to make your chores in the kichen easier. There are many handy upgrade accessories that you can add to your kitchen that are universally known to make the kitchen workspace more convenient. Let's look at some of the most common of these kitchen accessories and what they can do for your kitchen. You're sure to wonder how you've made it without these kitchen helpers! A soap dispenser is one of the absolute must-have accessories for any modern kitchen, and there is a big variety of soap dispensers on the market to match or coordinate with your existing plumbing fixtures and faucetry. A soap dispenser is installed right alongside your faucet and eliminates the need for unsightly soap bottles to be cluttering the countertop. Furthermore, a soap dispenser is also much easier to access when you're busy working in the kitchen than traditional soap bottles (or even germ-laden bar soap). You can choose to use it for hand soap or even dish soap. Many faucets are now pre-packaged with a soap dispenser or you can purchase a soap dispenser separately. 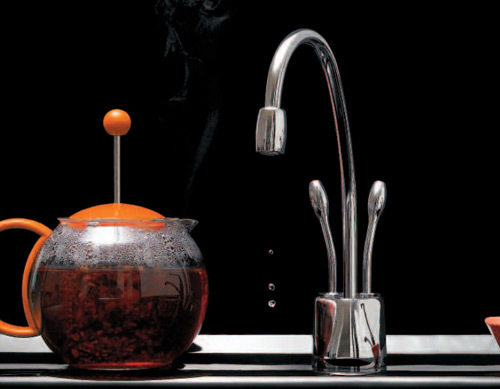 One of the "hottest" accessories for the kitchen is one that you'll find truly indispensable: a hot water dispenser. A hot water dispenser gives you instant access to hot water for making hot beverages and soups, or for getting a jump start on boiling water for noodles, pasta, and other cooking needs. Having hot water on the ready when you need it eliminates the energy used for boiling water over the cook top, which can not only save you money on your utility bills, but also saves you prep time when it's time to feed your hungry brood. Hot water dispensers are available in a variety of price ranges, making them easy to afford even on the smallest budget. Tired of throwing yucky dinner scraps into the trash? 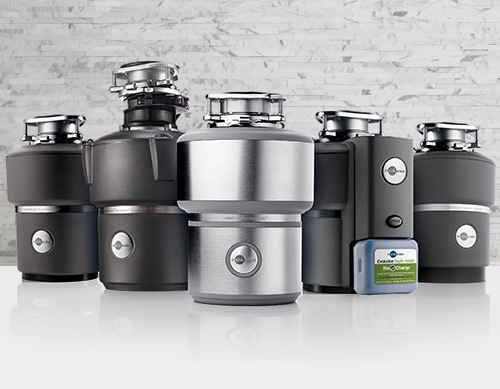 A garbage disposal will end the mess associated with food waste while allowing you to be earth-friendly. Food waste thrown into the trash has one final destination: the landfill. The gases that are emitted from decomposing waste in landfills help to accelerate the greenhouse effect. Food waste disposed of in a food disposer is rerouted through the sewer - where it can be transformed into useful, renewable energy. Garbage disposals are not very expensive, and adding one to your kitchen will cut down on your family's carbon footprint. Tired of paying $1.50 a bottle for water? Install a handy filtered water dispenser in your kitchen and you'll put an end to this money-draining habit. Many people who drink bottled water regularly are shocked to learn that the average cost of drinking the recommended number of ounces of water each year is well over $800! With a convenient and inexpensive filtered water dispenser, you can take your water with you and have filtered water from the tap for cooking, too. What's more, you can take satisfaction in knowing that you're not adding to the problem of our already overburdened landfills when you throw that plastic water bottle into the trash.